We had a big snow storm over the weekend. The weather service named it Brutus. Luckily, we only got around 5 inches but other places got much more, some got a few feet. The bad news, our plants weren’t really ready yet. Leaves were still hanging around, and a lot of branches were weighed down. I’m pretty sure our rose bush might not recover in some spots. 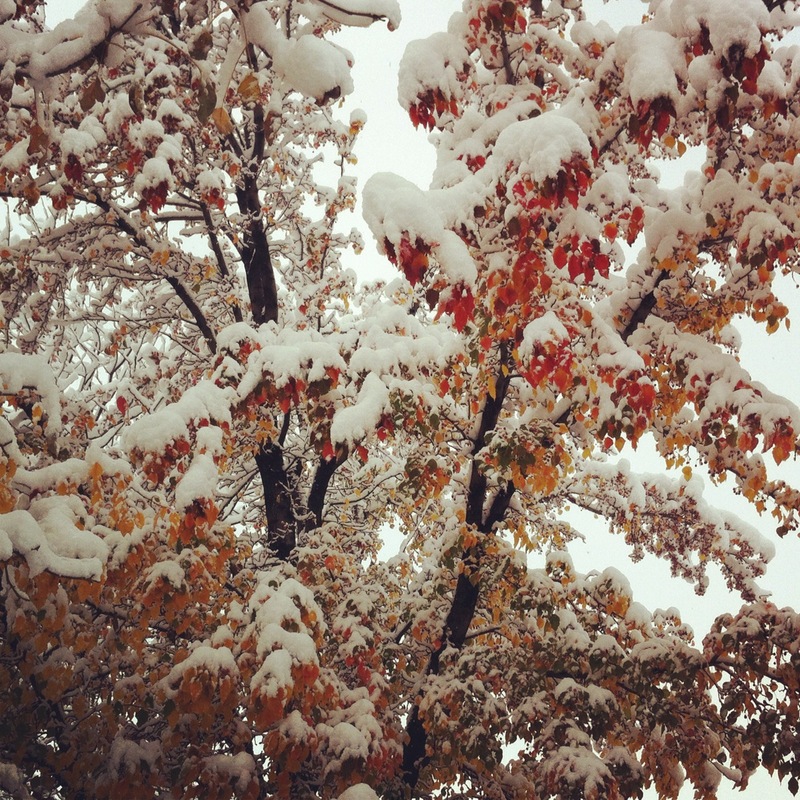 However, the snow on top of the fall colored leaves sure looked pretty.